The confetti has long since fallen, the photos are in an album, the thank you notes are written. Yet your wedding dress still hangs in the closet, carefully cleaned and preserved. You meant to sell it, but you just never got around to it. What options do you have now? Did you know your wedding dress could help the environment, support the terminally ill, or provide a bride with her dream wedding gown after you are done wearing it? While selling your wedding dress to a new owner is a wonderful way to spread the love and continue the story of your dress, some brides choose to donate their wedding dresses. And there are great places to do that. Whether you are looking to support a local, national or international charity, would like to find a unique use for your wedding dress (art project, anyone?) or would prefer to provide a dress directly to a bride in less fortunate financial circumstances to help her feel her best, here is a list of opportunities to donate and up cycle your pre-loved wedding gown around the world. The dress donation opportunities are separated by method of donation and country – local/in-person only and mail-in or in-person donations. In addition to accepting wedding gowns of varying ages, many of these nonprofits will take other wedding items as well: veils, jewelry, shoes and more, including bridesmaids dresses and menswear – even wedding decor and favors in some instances! That being said, do be sure to check the guidelines for your chosen organization carefully before sending all your wedding goods. It’s very costly for charities to deal with unwanted items, and not all are interested in accepting every last piece of your wedding day. Also be sure that your wedding gown is in good condition, and also fits the age requirements some charities have. Find a cause you feel great about that not only supports your interests, but lets your wedding gown live on! Local Schools – Contact a nearby school’s drama department or a college’s photography or theatre department. Your gown may star in any number of theatrical productions, photo shoots or art projects! American Kidney Services Atlanta – Donations help support valuable programs initiated by the American Kidney Fund, which is a nonprofit health organization that gives financial assistance to people suffering from chronic kidney disease. Also accepts: wedding decorations, wedding favors, or any other garments and accessories. Dresses may be dropped off at dropboxes in the cities of Atlanta, Dunwoody, Marietta, Chamblee, Norcross and Lawrenceville. Pickups can also be arranged. 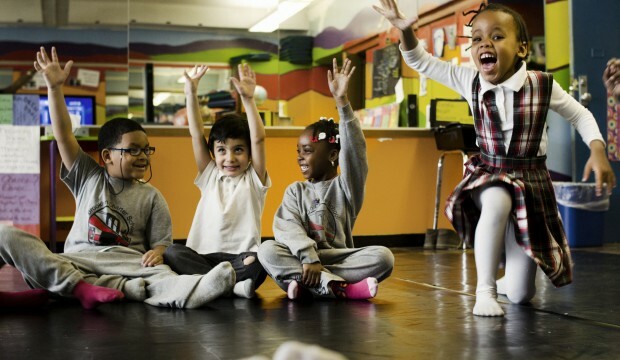 The Bridal Garden New York – Donations to this boutique benefit education for New York City’s disadvantaged children. Dresses must be newer than 5 years old. Also accepts: veils, headpieces, and boleros or shawls that accompanied a wedding gown. Dresses may be dropped off at their shop in New York City. 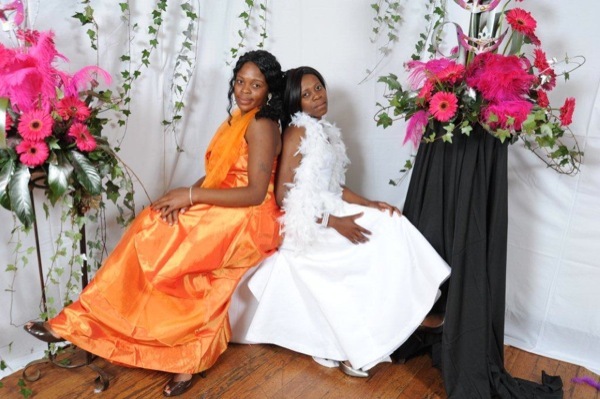 Catherine’s Glass Slipper Project – Donations to this nonprofit organization provides wedding gowns to lend to women who might not otherwise be able to afford a bridal gown. Serves the areas of Sacramento, Stockton, Lodi, and Galt, CA. Also accepts: formal wear, bridesmaids gowns, jewelry and accessories. Dresses may be dropped off at their headquarters in Galt, CA. National Kidney Services Ohio & North Carolina – Donations to the Ohio and North Carolina chapters of the National Kidney Services benefit the National Kidney Foundation and its programs. Also accepts: bridal accessories, bridesmaids dresses, men’s suits and tuxedos, wedding decor and leftover favors. Dresses may be dropped off at locations and donation bins in North Carolina and Ohio. Local pickups may also be arranged. refashionNYC – Donations to these bins and drop off points scattered all across New York City are meant to encourage the recycling and reuse of clothing that is otherwise thrown out – up to 200,000 tons a year in the city! Dresses may be dropped off at various shops and bins around New York City. The Society of Memorial Sloan-Kettering Cancer Center Thrift Shop – Donations to this high end thrift shop and bridal salon benefit patient care, research and education programs at the Center. Dresses may be dropped off at their shop in New York City. Bridal Re-Dress – Donations to this Essex bridal shop support a variety of charities such as the WWF, cancer research and more. Also accepts: wedding accessories: jewelry, hairpieces, etc. Dresses may be mailed (within the UK) and once the gown is sold your postage is reimbursed. Contact the shop before you send your gown. Cancer Research Wales Bridal Suite – Donations to this organization helps to fund cancer research in Wales. Also accepts: mother-of-the-bride outfits, accessories and bridesmaid dresses. Dresses may be dropped off at their boutique in Cardiff. Chestnut Tree Wedding Dress Charity Shop – Donations to this wedding dress charity shop in Sussex support hospice care for terminally ill children. Dresses are accepted at Chestnut Tree charity shops across Sussex. Oxfam – Donations to this charity help fight global poverty. Dresses are accepted at over 700 locations, including locations in Ireland. Red Cross – Donations to this bridal charity shop in Surrey support the work of the British Red Cross with conflicts, natural disasters and individual emergencies globally. Also accepts: wedding accessories, veils, hats, bags, shoes and jewelry, as well as books giving wedding advice and bridal magazines. Wedding gown donations are accepted at all British Red Cross charity shops. Saint Francis Hospice – Donations to this hospice charity in Greater London support patient care at the hospice. Also accepts: mother of the bride outfits, bridesmaids gowns, wedding hats, fascinators and other bridal accessories. Donations may be made at one of their locations. St Giles Hospice – Donations to this charity shop’s bridal room support people living with cancer and other serious illnesses, as well as offering support for their families and helpers. Dresses may be dropped off at the a hospice shop or to St Giles’ warehouse. Society of St Vincent de Paul – Donations to this Dublin, Ireland charity shop go towards benefiting the poor and disadvantaged and supporting social justice. Also accepts: shoes, tiaras as well as bridesmaids and mother of the bride outfits. Dresses may be dropped off at Vincent’s Bridal Wear Shop in Dublin. Wedding Wishing Well Foundation – Donations to this nonprofit help fund weddings for the terminally ill in England and Wales, as well as provide gowns for brides receiving a Wishing Well Foundation wedding. Also accepts: bridesmaid dresses, suits, mother of the bride outfits and bridal accessories as well as wedding related supplies, props such as table decorations, confetti, centrepieces, chair covers and more. Drop offs may be made at locations of Johnsons Cleaners in England and Wales. South African Princess Project – Donations provide wedding gowns (and prom/graduation dresses) to those less fortunate South African women. Drop offs may be made in Gauteng and Cape Town, South Africa. If you can’t find a suitable donation center near you, you might considering investing in a little postage and mailing your gown to one of the nonprofits below. No matter where they are and where you are, they all accept gowns shipped via the mail if you are willing to pay the postage to that location. All of these organizations also accept in-person donations as well, in case you happen to live near them. Adorned in Grace – Donations benefit Compassion Connect based in Portland, OR., which raises awareness about the problem of human trafficking, funds outreach events and training for the prevention of human trafficking, and provides support for rescued victims of sexual exploitation in the area. Also accepts: formals, petticoats, veils, accessories, and other wedding items. Dresses may be mailed to or dropped off at the Adorned in Grace boutique in Portland, OR. 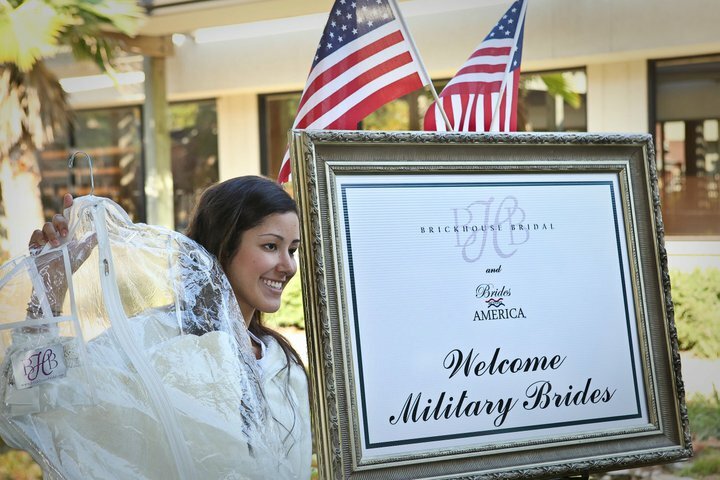 Brides Across America – Donations to this nonprofit provides wedding gowns to military brides in need. Dresses must be newer than 5 years old. Also accepts: veils, tiaras and accessories. They do not accept petticoats or undergarments. You must contact BAA for donation approval of your gown before you ship it to their offices! Brides Against Breast Cancer – Donations to this nonprofit organization are put up for sale in a “Nationwide Tour of Gowns” from which sales benefit programs for cancer patients and their families. Dresses must be newer than 5 years old. Also accepts: veils and slips. Dresses may be mailed to the BABC headquarters in Sarasota, FL. Brides for a Cause – Donations benefit Wish Upon a Wedding, a nonprofit organization dedicated to granting weddings and vow renewals for couples facing terminal illness and serious life-altering situations. Dresses must be newer than 8 years old. Also accepts: veils, tiaras, headpieces, sashes and slips. Donations may be mailed to or dropped off at the Brides for a Cause headquarters in Portland, OR. Brides for Haiti – Donations to St Joseph’s Parish in Carcasse, Haiti serve two purposes: dress resales benefit Haitian charities and also provide baby burial gowns. Dresses must be newer than 7 years old, or over 30 years old (vintage). Dresses may be mailed to a volunteer in Poolesville, MD. The Bride’s Project (US) – Donations help support families touched by cancer seeking help from the Cancer Support Community of Greater Ann Arbor. Dresses must be newer than 8 years old. Dresses may be mailed to or dropped off at The Bride’s Project headquarters in Ann Arbor, MI. Every Girls Dream – Donations to this nonprofit provide wedding gowns to brides undergoing financial hardship in the Southeast Michigan area. Their mission is to make every girl’s dream come true! Dresses must be newer than 15 years old. Also accepts: Petticoats, veils, flower girl dresses, bridesmaids gowns, mother of the bride dresses, shoes, tiaras, gloves, and tuxedos. Donations may be mailed or dropped off at EGD’s office in Eastpointe, MI. Fairytale Brides on a Shoestring – Donations to this nonprofit bridal boutique serving the Washington, D.C. metro area provide reduced price bridal gowns and accessories for underprivileged women while contributing to other nonprofit charities in the area, including the Victims Rights Foundation. The boutique also provides opportunities for local high school students to learn about the fashion industry and gain retail work experience. Dresses must be newer than 8 years old. Also accepts: veils, headpieces, jewelry, sashes, shoes, and boleros or shawls. Donations may be mailed or dropped off at the Fairytale Brides boutique in Rockville, MD. Mary Madeline Project – This nonprofit organization in Nebraska refashions bridal gowns into blankets and baby burial outfits which are then donated to hospitals around the United States to bereaved parents. Although they are currently not accepting gowns due to a lack of seamstresses, you might check back at a later date to donate to this cause. St Anthony’s Bridal – Donations to this nonprofit organization provide a wedding gown to qualified brides who are on a budget of $3,000 or less. Also accepts: veils, crinolines, bridal shoes, boleros, wraps, tiaras, gloves, and bridal jewelry. Dresses may be mailed to or dropped off at St Anthony’s Bridal in Mitchellville, MD. 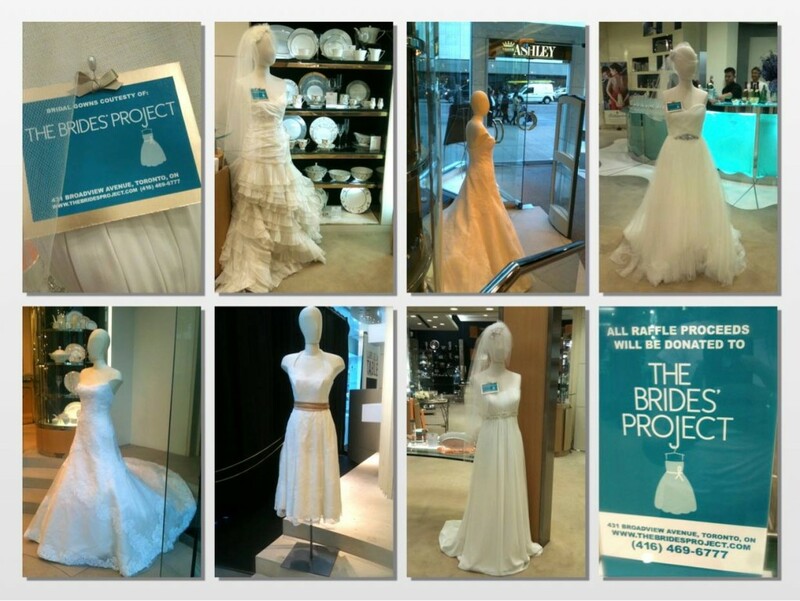 The Wedding Dress Project – Donations to The Wedding Dress Project provide an artful way to help victims of domestic violence cope, help teens envision and engage in dialogue about what healthy relationships look like and help participants learn to recognize the warning signs of domestic abuse. The project engages the community in a variety of ways, most notably through wedding dress “deconstruction workshops.” Also accepts: tuxedos, prom dresses, bridesmaids dresses and art supplies. Dresses may be mailed or dropped off to The Wedding Dress Project office in Greensboro, NC. Local pickups can also be arranged. The Brides’ Project (Canada) – Donations to this nonprofit serves two very important purposes: to provide brides with the things she needs for a beautiful wedding within her budget, and to support cancer charities. Dresses must be newer than 5 years old. Dresses may be mailed to or dropped off at the headquarters in Toronto, ON. The Princess Shop – Donations to this nonprofit program provides gowns and accessories to lend to women in need. Dresses must be newer than 5 years old. Also accepts: bridesmaid and evening gowns as well as purses/handbags, shoes and jewelry. Dresses may be mailed to or dropped off at the headquarters in Saskatoon, SK. There are also other donation spots around Saskatoon and in Lloydminster, SK. I have aquestion I don’t have a dress to donate but I am looking for a dress for my wedding. I have had 2 brain surgeries in the past 3 years – 1 was a traumatic brain injury where I did die and they had to revive me but I did make a awesome recover then a year later I was diagnosed with a rare brain disease called Chiari where I underwent a brain decompression I just went back to work but I would love to have the dream wedding. I have my prince charming who has stuck through my side during all my surgeries – I am divorced and have 2 daughters my other marriage was very abusive. If you know where I can get help to get a dress of my dreams please let me know – I love pink dresses and I am so sorry I forgot the designer Maggie Sottero – sorry to bother you but I thought it was worth a try. Hi we are a nonprofit organization called Every Girls Dream, Inc. We provide FREE wedding gowns to qualifying low income brides in need located in the Southeastern Michigan area. Please go to our website and click on the Selection process page and application page. You can also find us on Facebook by typing every girls dream nonprofit in the search bar. I have a brand new wedding dress with the tags still on it and I would like to donate it to the military. I live in illinois and would like to know where I can donate it? I am engaged to be married. My wedding date is set for May 15, 2015. I have 4 children and work less than part time (15hrs a week). My fiancé and I are just barely saving up enough money to have a wedding, let alone buy a wedding dress. I would be truly grateful for any help that you can give me. Good morning! I have a size 12 wedding dress and I would be more than happy to donate this beautiful dress to you. If you are still in need please contact me via email, thanks! Hi all, I am getting married on August 1st. I am on disability due to chronic Rheumatoid Arthritis. My partner is a full time student. So our income is very low. I am in search of a white size 16 wedding dress . Anything helps! Thank you in advance. Sorry, We no longer accept consignment. shall I just pack it up and send to rockville address? I also have my wedding dress (1969) Simple, classic. Any idea where I might donate it? i am looking to donate my 1982 wedding dress! Needs cleaning! I would like to donate my beautiful wedding dress that cost me $5000, I also have the veil that goes with it. If someone lives in Maryland and is willing to come pickup the dress you are more than welcome. Please it’s for someone who does not have money. Cherie Amour is a resale boutique that exists primarily to raise funds for the mission of Success In Style, Inc. Success In Style (SIS) helps disadvantaged men and women acquire meaningful employment by providing free business wardrobes and coaching. Clients are referred from social service agencies, crisis hotlines, places of worship and employment services. Each client receives a personalized fashion consultation and receives a variety of suits, shirts, undergarments, hosiery, handbag, briefcase, shoes and accessories. Each client leaves with a new-found confidence to achieve goals never thought possible. We serve approximately 1000 clients per year and have 5 client studios where we offer these services. 100 percent the proceeds of Cherie Amour benefits the mission of Success In Style. Cherie Amour is a beautiful bridal boutique, housed in the quaint and intriguing, Historic Savage Mill in Savage, Maryland. Just like any upscale bridal boutique, we give brides personalized consultations and ensure that brides-to-be shop, pressure-free, with trained volunteer consultants. Our entire wedding gown collection has been generously donated by newly wedded brides, as well as shops and manufacturers that need a home for floor models and overstocks. We carry designer brands such as: Alfred Angelo, Allure, Amsale, Anjolique, Bianci, Casablanca, Christina Wu, Eden, Enzoani, Galina, J.Crew, James Madison, Mary’s Bridal, Melissa Sweet, Michaelangelo, Mori Lee, Oleg Cassini, Oscar de la Renta, Paloma Blanca, Priscilla of Boston, Maggie Sottero, La Sposa, Lela Rose, Lillian West, Pronovias, Rivini, Saja, Sophia Tolli, Tara Keely, Vera Wang and Waters & Waters. Cherie Amour carefully determines the price of each gown by assessing brand, age and condition of each gown and then passes on huge savings to the bride. ~ $20 gift certificate to Charity’s Closet (another great resale shop where all items are $5) in Savage Mill. ~ the great feeling that you have helped your community’s needy onto lives of self-sufficiency. I am looking to donate my beautiful dress, veil, shoes, under garments, jewelry. I live in CA and am having a hard time finding a place that won’t re-sell it just to make money. I would love my stuff to go to someone for free who really, really needs it. Anyone know anywhere I can maybe get a free wedding dress? I’m a mother of 5 son to be step mother to 3 more lovely children, so with 8 kids under 12 & me unable to work due to car accident years ago we financially couldn’t afford one. But would really love to suppose the live off my life walking down that isle in a wedding dress rather than a skirt and blouse. If anyone knows anyplace please let me know. I’m a size 10, 5′ tall but I do know how to take up clothes in length. I have a princess a-line style ivory wedding dress that I would like to donate to a needy bride in San Antonio, TX. It was custom made for me. I think it was a size 14/16. I have the petticoat and veil as well. Oh….I’m 5’2″ and the dress has a short train. I have a wedding dress I purchased in 1989 and interested in donating it somewhere locally, Chicago, Illinois or nearby suburbs. Can you make a recommendation? I am on a very small budget and my fiance has epilepsy. I am not looking for anything fancy. I am in california . I am 5’0 , 36DDD, 168 lbs. And i am about a size 12. If anyone can help please contact me. My height is 5’9 and I have alot problem in China to find Wedding dress to fit on me. And Another issue is Stitching company which I could not find well in my town. How Can I solve that problem?? Is anyone in need of a size 4 wedding gown? It is less than 10 years old, beautiful and has been professionally cleaned. I can’t sll it due to the year it was purchased so I willing to donate to anyone in need and do not want to take it to Goodwill. Less shipping costs the better. Please let me know! Is anyone in need of a size 18W wedding gown? I think it runs small though. Only a year old, its beautiful, and has never been worn! I bought it as my 2nd back up dress last year incase my 1st choice wedding gown wasn’t finished being tailored in time for my wedding. Well my 1st choice wedding gown was tailored in time for my wedding and now I have this 2nd brand new wedding gown just sitting in my closet. I would prefer to donate it to someone in need with a good heart and not give it to Goodwill. Less shipping costs. Please contact me if seriously interested. Sorry I should’ve added that I have a brand new veil that goes with the gown and if there’s someone in the Chicago, IL or surrounding areas seriously interested please contact me. I would also be willing to ship it outside of Chicago, IL or the surrounding areas less shipping costs. I have a Plus size black satin wedding gown, court train, strapless has silver jewelled bodice and train, and a black and white lace and satin flower girls dress I would estimate size 6. I live in Ontario Canada. I am willing to ship it to you in the US since I can not find anyplace here other than a thrift store to donate too. PLease email me if there is an interest. I bought my granddaughter her Wedding Dress in August, 2011, her wedding was cancelled. I am stuck with a beautiful Pricella of Boston ball gown. This georgus courture wedding dress is a size 10 and was never worn or altered. The dress is probably street size 8. I have tags and receipt. Tags had to be removed to have preserved. I would like to donate the dress to an organization that won’t sell the dress, but give it to a deserving bride. Collectibles With Causes may be an option to donate to. They accept donations of all sorts. The only thing you’d have to do is submit the online donation form on their web site. Once they review it they’ll contact you and provide you with more information. When you make a donation you not only receive a tax deduction, but you also help Collectibles With Causes in their mission to help individuals and families across the nation. Their web site is http://www.collectibleswithcauses.org. You can contact them through three different ways, by submitting a contact form, by calling 888-228-7320, or by using their live chat. My wedding dress is 25 years old and has been in sealed storage since March 1993. It is strapless with a bolero jacket with padded shoulders – size 2 and I am 5’4″. I want to donate it to a cause but most of them want the dress to be less than 5 years old? I was saving it in case my daughter ever wanted to use it, but she turned out to be much taller than me. I need to find it a home ASAP since we just opened it for her to try on. Can anyone point me in the right direction? I was looking for a place in Orlando area so I could drop it off but I cannot find a local cause. I, too am looking to donate my older wedding dress. I hung onto it thinking I’d have daughters or nieces that might use it. It’s been professionally cleaned and boxed since 1984 and stored in a closet, not in an attic. I have the picture of it from Brides magazine if anyone wants to see what it looks like without having to open it. Size 6 but was taken in. I’d like to donate it or recycle it and know it went to a worthy cause.